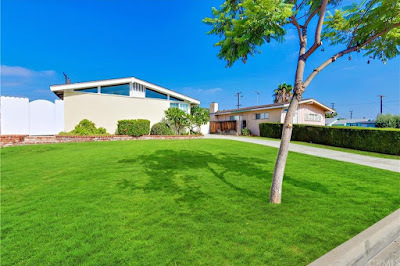 The Krisel Connection is dedicated to showcasing and discussing the works of modernist architect William Krisel. 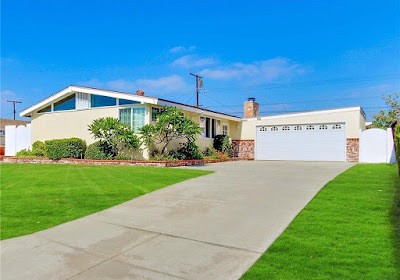 Architect to tens of thousands of tract homes, custom residences and numerous commercial buildings, Krisel’s distinct style and cutting-edge design helped set the tone for modern architecture in America during the mid-century. 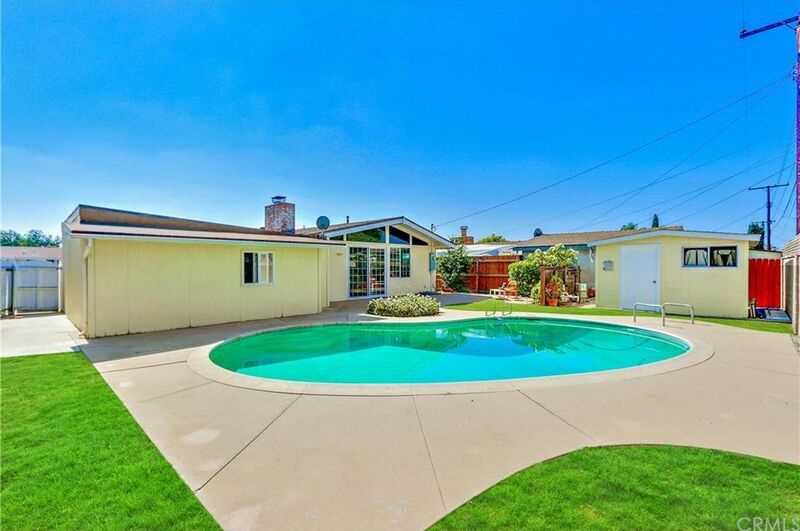 Built in 1954 by the Devon Construction Company is this Palmer & Krisel-designed modernist pool home in Parkwood La Mirada in La Mirada, CA. 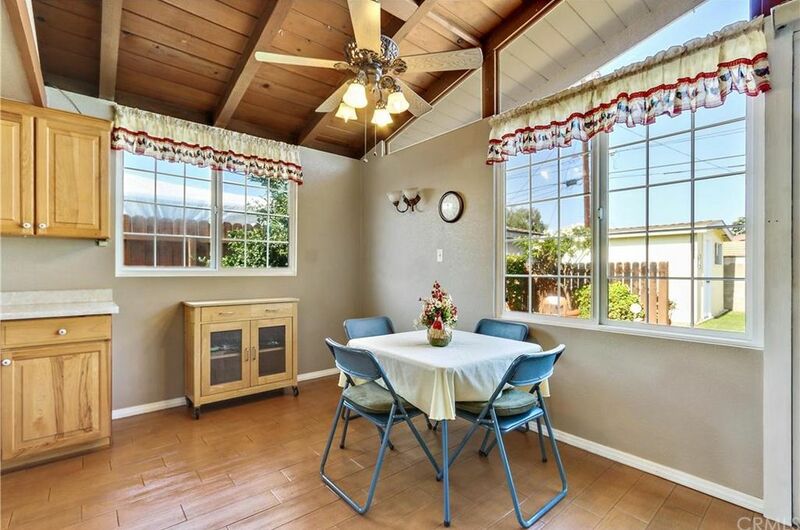 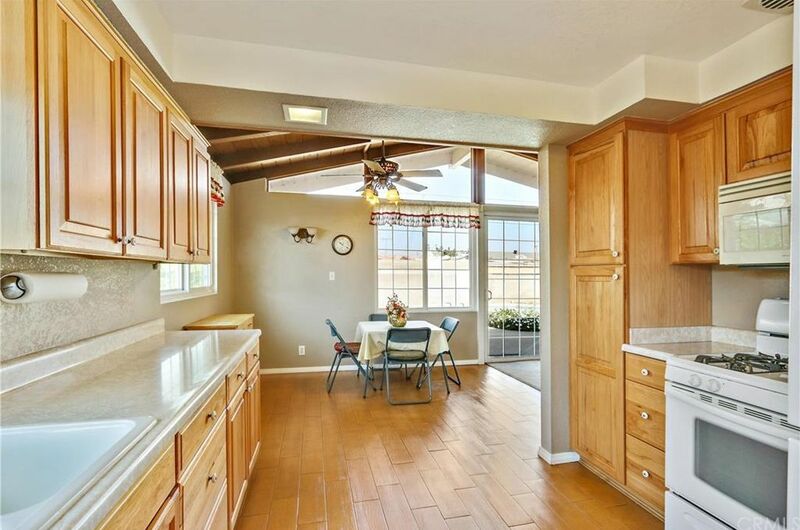 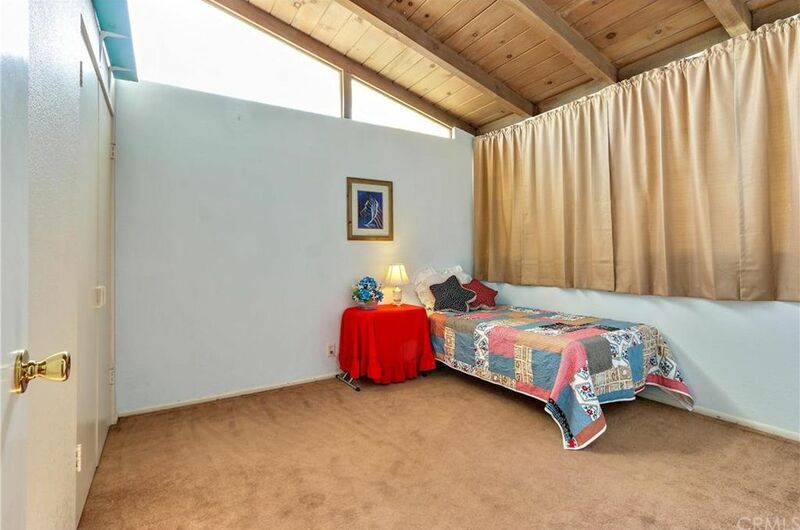 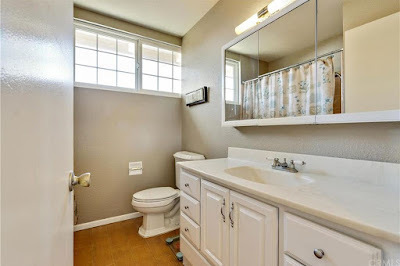 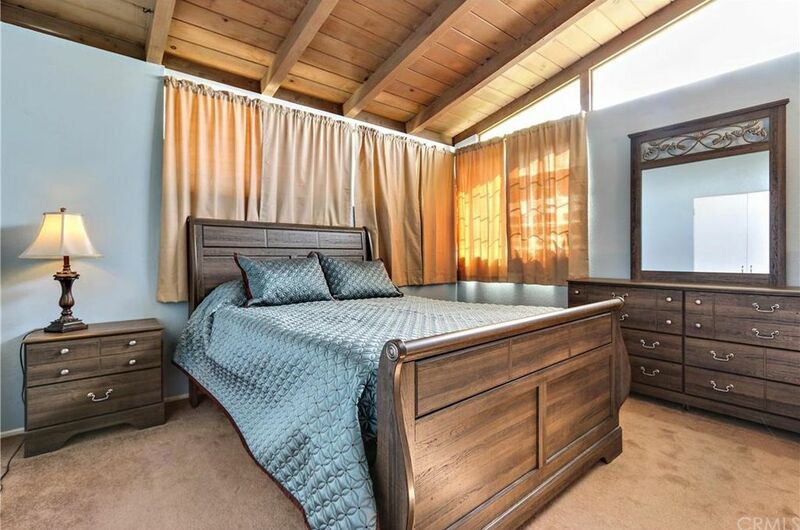 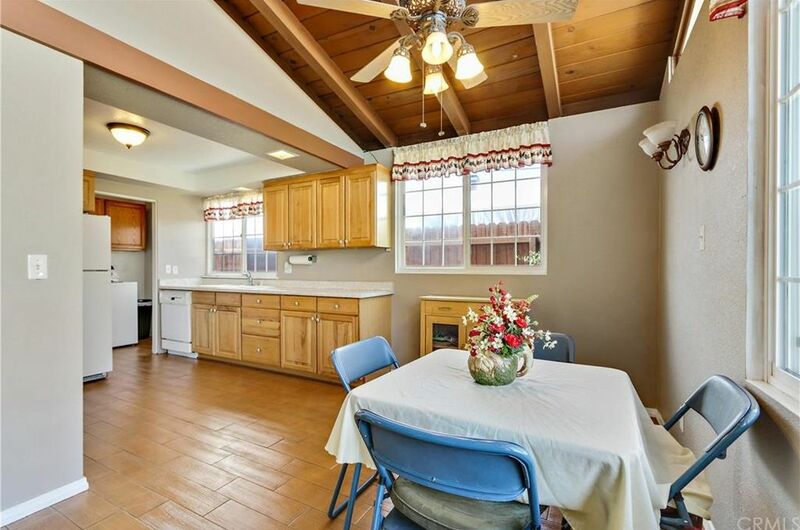 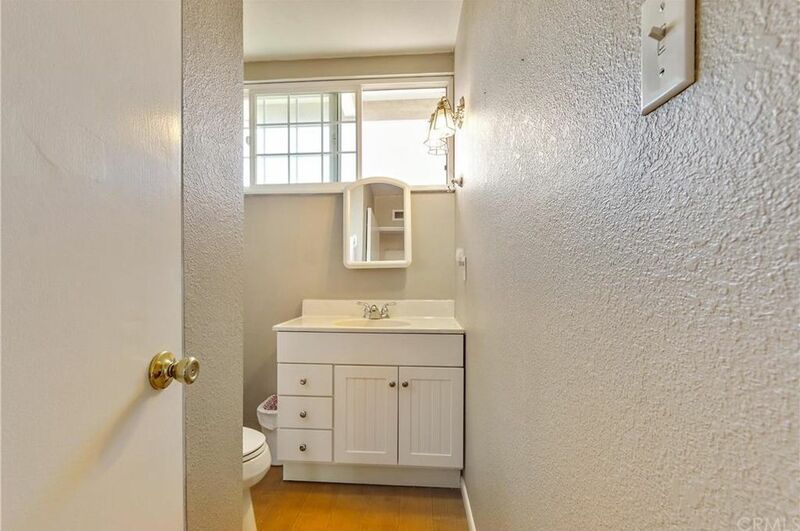 This small and efficient home includes three bedrooms and two bathrooms in 1,200 square feet, and sits on a 6,800 square-foot lot with an in ground pool and comes with an asking price of $483,000. 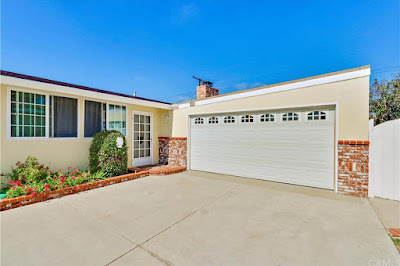 The home sits lengthwise on its lot, with the gable end of the home facing the street, while the semi-attached garage sits towards the back of the home allowing for an extra-long driveway. 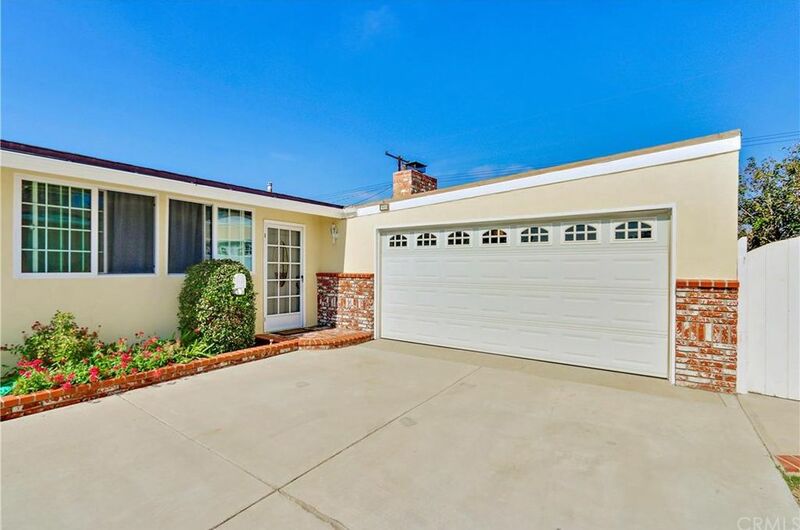 The roofline is one of the more striking and fun Palmer & Krisel rooflines, with a reverse-angle pitch over the garage giving the home an almost butterfly-roofed appearance. 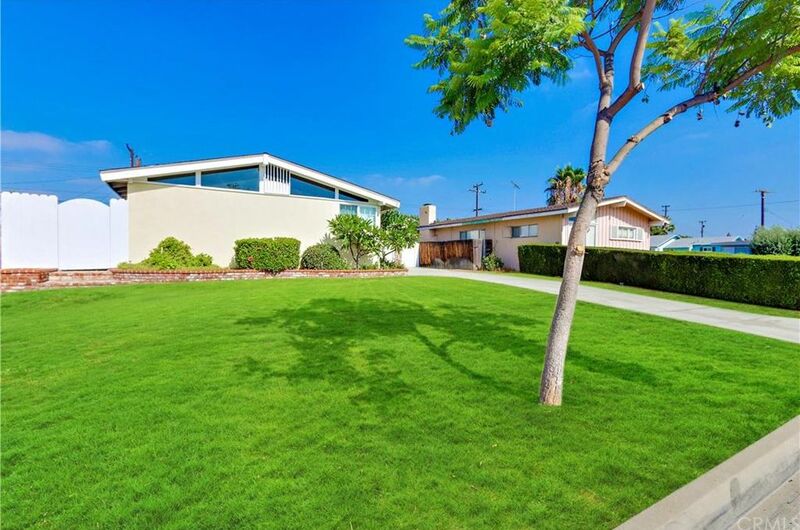 A wide, lush green lawn sits between the home and the street, and lush green plantings sit along the base of the home. 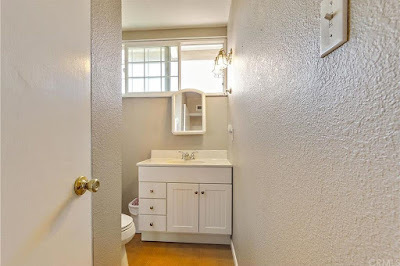 The home is entered through a Victorian-style door which opens in the moderately-sized rear-facing living room. 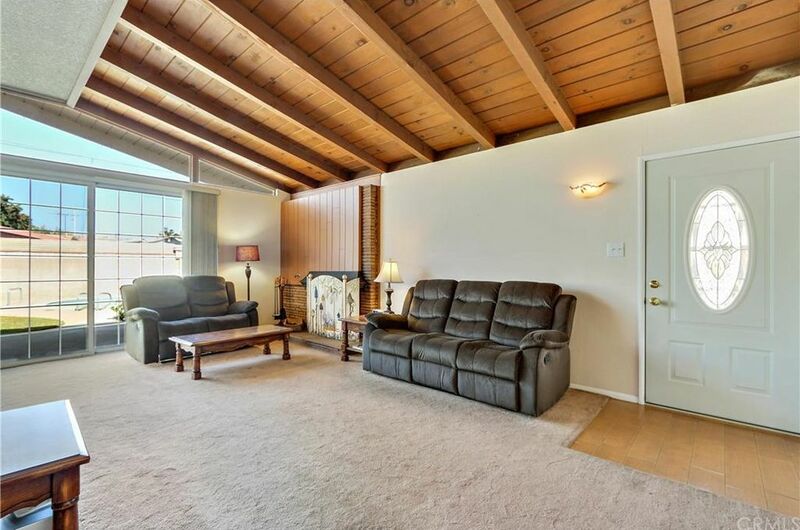 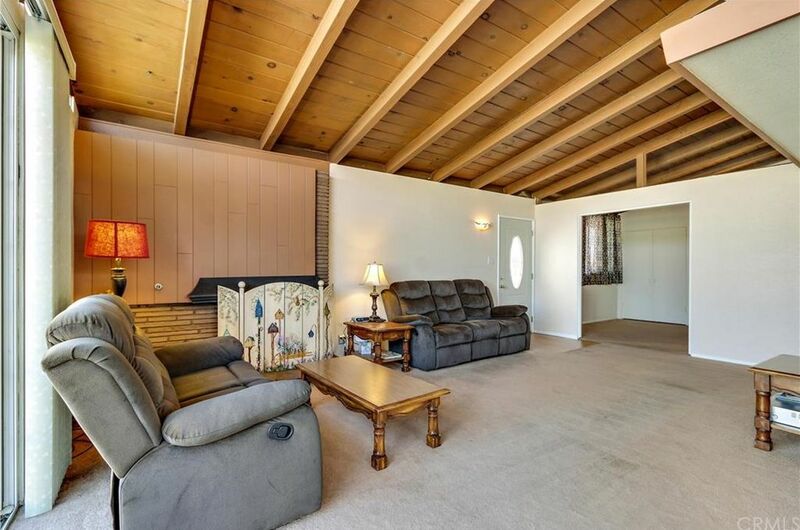 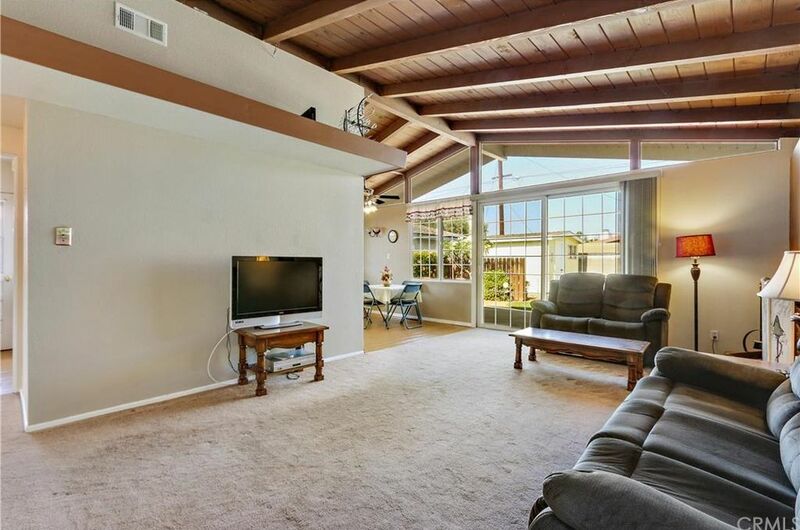 The open beamed exposed wood ceilings are still in place and unpainted, and the original fireplace, complete with the original Parkwood La Mirada curved hood still intact. 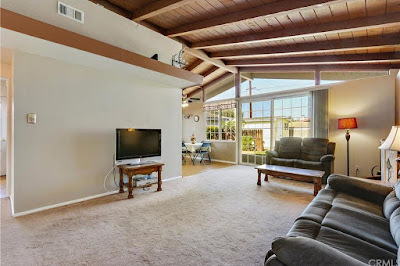 Large floor to ceiling windows and clerestories overlook the backyard (albeit through mullioned replacements) allowing for natural light to flood the living areas. 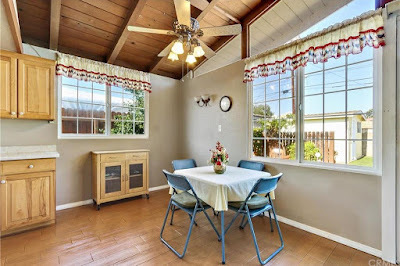 The dining room sits at the rear of the home, open to both the living room and kitchen area, and features two walls of windows for allowing additional natural light into the space. 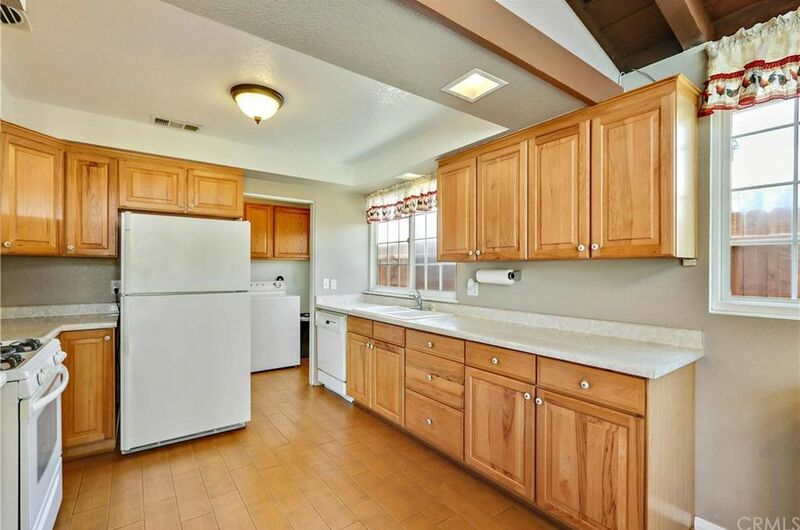 The kitchen has been renovated with traditionally styled cabinetry, laminate counters and white appliances. 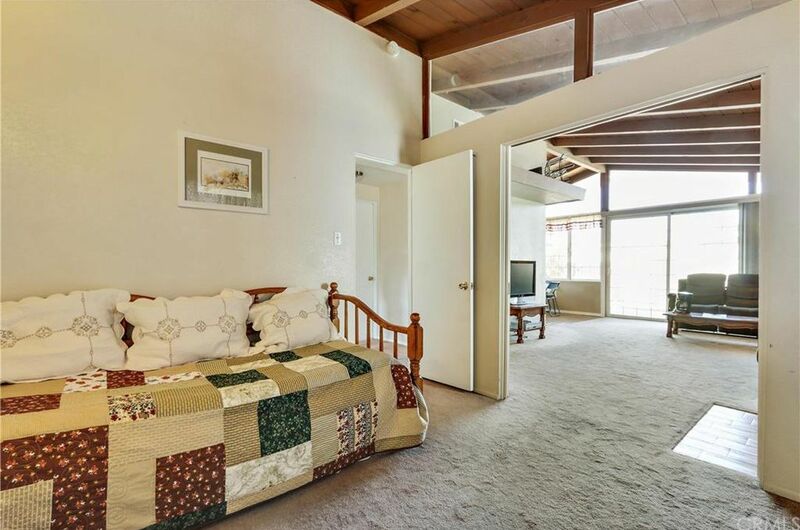 The three bedrooms sit towards the front of the home, and both front-facing bedrooms still feature their original clerestory windows and dual window walls. The third bedroom has been converted to den, and maintains its traditional hallway entry door in addition to a pair of pocket doors facing the living room. Both bathrooms have been updated with traditional, non-distinguishing elements. 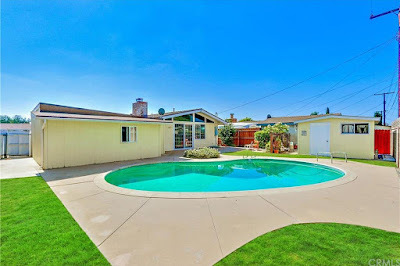 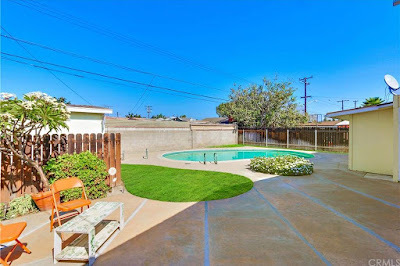 The backyard is anchored by the quintessential midcentury kidney bean-shaped swimming pool, creating an inviting blue centerpiece surrounded by plenty of patio space. Lush green lawn surrounds the patios, and a small shed painted to match the home sits near one corner of the yard. While the cosmetic updates to the home don’t reflect its modernist roots, this one has enough original unspoiled original detail and character on this well-kept home to make it really shine. Follow Krisel's board Krisel Homes on Pinterest.